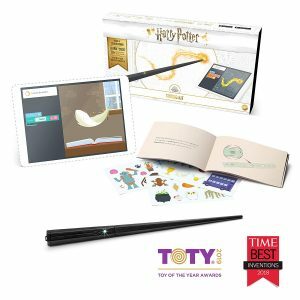 Year on year, the technology and learning experience featured in new STEM toys gets better and better, and 2019 is no exception. There are a whole host of exciting releases this year to help teach skills ranging from coding to robotics, from engineering to biology. And the best part is it doesn’t matter if you are old or young, male or female, there is something for everyone! So let’s dive into our top STEM toy picks for 2019. Ubtech robotics kits are one of the best STEM toys for kids aged 8 and up to develop skills like creativity, design, coding and robotics. 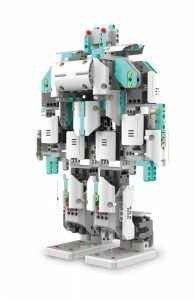 With snap together parts, similar to K’Nex or Lego, kids can learn about mechanical engineering through building their own fully functioning robots. This is guided through an awesome 3 dimensional, 360 degree animated guide in the JIMU Robot App for IOS and Android. What we love about the UBTECH JIMU range is that there are lots of different options depending on your needs. If you are on a budget, the 2 robot Muttbot & Buzzbot kit is a great choice, if not you could go for the 675 piece Inventor Kit with 6 different builds. There is also a Unicornbot Kit that is more likely to appeal to budding young female engineers! That said, due to the modular nature of the parts, kids can experiment with their own builds too. But the fun, and learning of course, doesn’t end there! 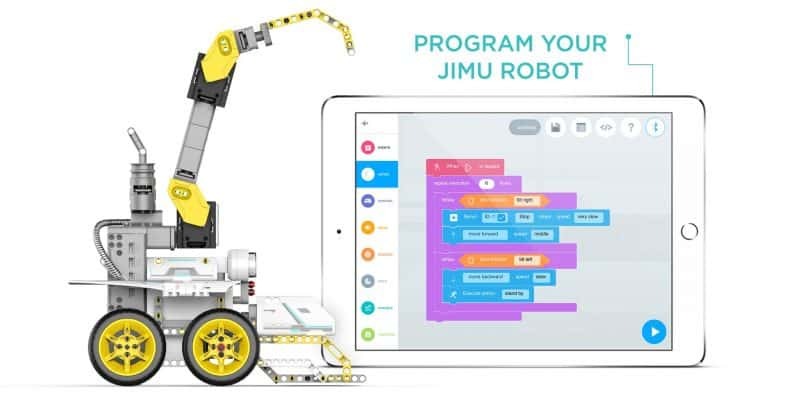 Once kids have built their robots and machines, they can them bring them to life through the JIMU Robot App. There are two ways to do this, the first is through a menu of pre-programmed actions – essentially remote control. The second is through writing your own programs with the drag-and-drop coding interface Blockly. This simple platform created by Google is designed to teach kids fundamental coding principles in a fun and interactive way. Kids can learn to control servo motors, infrared sensors, LED lights, speakers and more through writing their own programs! 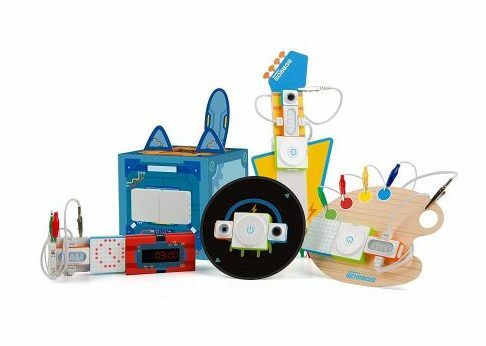 We love this kit and think it can be a great start for kids looking to get started on the road to learning coding and robotics. Best for Learning: Coding Basics. Kano are a company most well known for their build your own computer kits for kids. However, this recent team up with the Harry Potter franchise is bound to excite fans of the wizarding world, whilst educating them at the same time! The kit is all about building your own simple wand and then learning the basics of coding through the Kano App. With more than 70 challenges kids use the Kano software to create programs for the wand. These are then executed and animated on a tablet screen through a whole range of cool spells. You can program the LED lights, sound effects and more. The exciting combination between the much loved saga and coding should help to keep kids engaged and learning valuable STEM skills. Best for Learning: Basic to Advanced Coding, Robotics. Ever since Cozmo came onto the scene back in 2016, we have recommended it as one of the best STEM toys out there. Designed to teach kids and adults basic to advanced coding, in many ways Cozmo really redefined what a toy can ‘be’ or ‘do’. 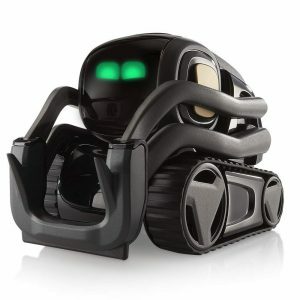 With their latest release, Vector, Anki have once again raised the bar. Whilst they might look similar, Vector differs to Cozmo in a lot of ways. Rather than having a heavy focus on play, Anki envision it as a personal assistant and have built in a suite of features to enable this. First off, Vector has its own on board processor with over 10x the computing power than its predecessor, as well as built in WIFI. This enables the robot to operate without the need for a companion device, hoorah! Combined with the onboard camera, microphone and own voice, this tech enables Vector to interact with you and respond to voice commands. Similar to a Google Home or Alexa device, you can call out to Vector to set alarms, reminders or ask questions. Other hardware in Vector is also far more advanced than Cozmo. For example, it has a touch sensor on the back so it can sense being picked up or stroked, among other improved sensors. We aren’t going to go into any further detail comparing the two ‘bots specs, so see our Cozmo vs Vector comparison article for more info. As what is most important is the educational element, so let’s take a closer look at that. Vector definitely has less of a focus on learning than Cozmo, with fewer options and resources for learning to code at this point in time. For example, Vector cannot be programmed with a graphical drag-and-drop platform. Therefore, we would not recommend Vector for younger learners at this point in time. Programming Vector is done through the Software Development Kit (SDK), a platform that enables you to write custom software using the text-based programming language Python. This is a language with wide applications in industry, so valuable skills can also be developed as you experiment with Vector. The SDK gives users access to a vast array of advanced robotics hardware and technologies, including the HD color camera stream, touch, drop & infrared laser sensors, facial recognition, animations and intelligent mapping. Furthermore, the addition of onboard WIFI connectivity and much more powerful processor means Vector has so many capabilities for customization. Feeling overwhelmed? We don’t blame you… but for the beginners out there Anki provide list of 13 examples to get things started. This starts with the basics, such as programming Vector to drive in a square or to display an image on its face. There are also more complex examples, such as getting vector to display an animation when a specific word is called out. From there on out its really down to your creativity, and coding knowledge of course, to see what you can make Vector do! However, if you need support or want to see what others are doing with the Vector SDK, the developer forums are a great place to start. Best for Learning: Microbiology, Microscopy. 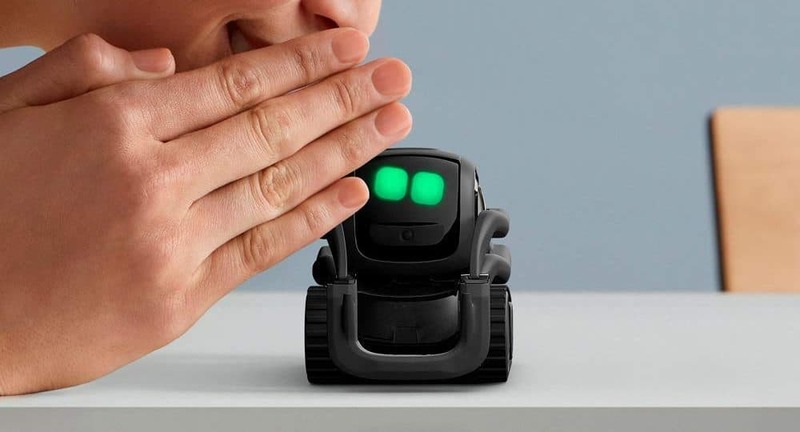 We’ve looked at quite a few of the best STEM toys for kids and adults to learn skills like coding & robotics, so here is something a little different. 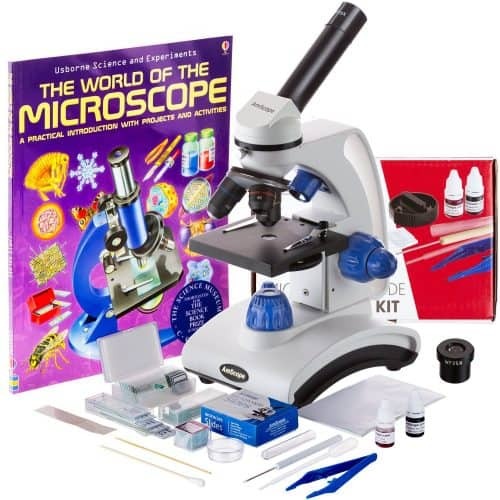 The AmScope Student Microscope is a great introductory scope for elementary kids and up to learn about microbiology and microscopy. That said, it is by no means a cheap, flimsy piece of equipment. The scope features an all metal frame, glass optics (rather than lower quality plastic) and 40 – 1000x magnification. What’s really great about this kit though are the accessories and learning resources. This includes prepared slides with specimens so kids can get right in, blank slides, staining dyes, forceps, a petri dish and several other tools. Furthermore, there is also a comprehensive guide with introductions and activities to get kids started on the right track. We think this is one of the most important elements and is ultimately why we chose this microscope over others. Best for Learning: Basic Electronics, Circuitry & Coding. Last on our list of the best STEM toys this year is the Makeblock Neuron Inventor Kit. This awesome kit aims to teach kids 8 and up about basic electronics through building their own circuits. The modular electronic components clip together with magnetic pogo-pins, which not only makes assembly easy as there is no soldering, but also means kids can build and break down circuits as many times as they like! The kit includes a power module, LED panel, gyro sensor, buzzer, servo motors and Bluetooth module. Controlling how the circuits function can be done in two ways. The first is offline mode, where they function as you’d expect a circuit to function with default settings. The second involves programming custom functionality into the circuits on a tablet via the Makeblock Neuron App. Also included in the kit are several cardboard cutouts for building projects that combine with the electronics modules. Animated instructional guides for these can also be found in the App. 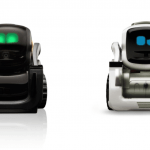 Anki Cozmo vs Vector - What's the Difference Between the Robots?